Box-section welded frame One of the most important features of Celli rotating harrows is the box frame. This construction system provides maximum torsional rigidity so that the gears inside always work in perfect conditions. Despite being an expensive solution at a construction level, Celli has always considered a rigid structure important for the machine, so that the transmission parts always work perfectly in line, even after years of use. There is no need to apply a reinforced cross bar thanks to the welded frame. 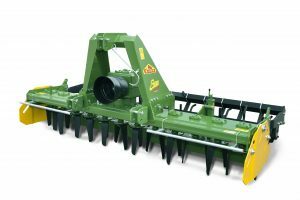 This provides an important advantage in the case of folding power harrows in which the machines operate upside down and there is no space to adjust the reinforcements. 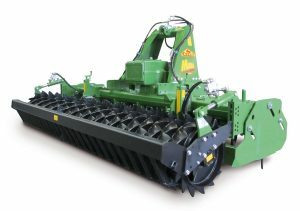 Regarding machine dismantling, people usually think that it is difficult and takes a long time. In reality, this is not the case. A minimal number of parts must be removed to access the transmission parts in Celli machines, as machine operation starts from the sides. 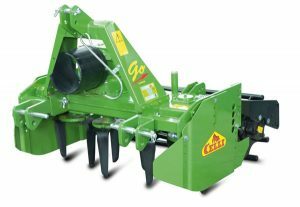 Do not remove the three-point hitch, gearbox or any accessories fixed to the machine frame (roller adjustment device, leveling bar, etc.). 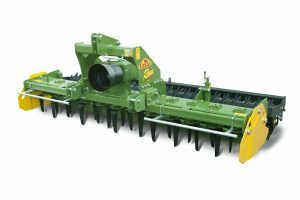 If intervention on the rotor shaft near the end of the machine is necessary, disassembly and reassembly only requires a few minutes, while the machine body must be completely opened in the case of traditional harrow machines with bolted frames. Thick metal sheets Rotor shafts forged in one piece Large distance between the rotor bearings A large distance ensures perfect parallelism of the rotors, even under heavy loads. Extra lubrication of the upper rotor bearings The safety shields of the upper bearings limit the flow of lubricant from the lower end. It is therefore advisable to perform an extra lubrication operation from upper end. 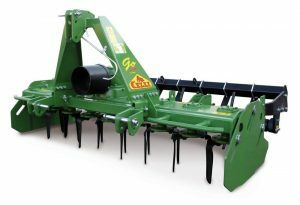 Well spaced rotors 25 cm is the ideal distance for refining the soil well. There is no risk of clogging when the ground is wet. Tine rotor helical phasing The differentiated phase angles reduce vibrations during operation and limit the risk of jamming due to stones. Gearboxes designed, manufactured and guaranteed by Celli Effective mobile side guards Simple, robust and minimal space required. Effective stone protector systems Can be removed when not needed and replaced when worn out. Robust leveling bars They are rigid bars that allow soil leveling after processing. They are adjustable with pins or a screw, depending on the model in which they are mounted. Quality leveling rear rollers Available in various models and diameters, made of high quality and thick steel. Wide range of models for all power ranges High value of used products The welded frame is virtually non-deformable and all the alignments are guaranteed even after years of operation. Constant availability of spare parts Celli models constantly evolve, but an effective spare parts management system ensures that all the parts needed to keep the machines efficient are still available after many years.